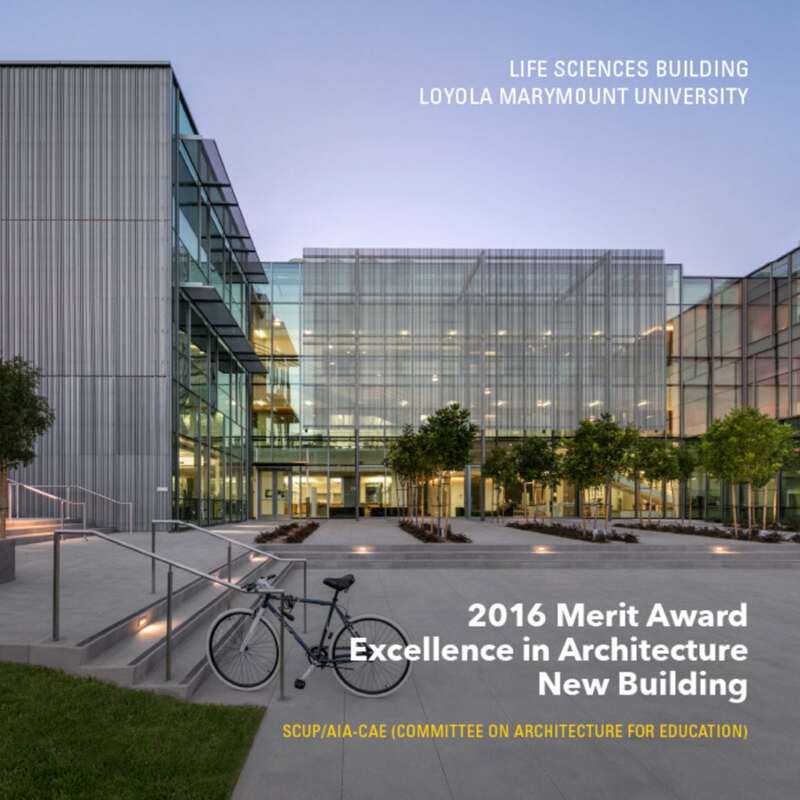 The Loyola Marymount University (LMU) Life Sciences Center is the recipient of the 2016 Excellence in Architecture for a New Building Merit Award by the Society of College and University Planning (SCUP), in association with the American Institute of Architects Committee on Architecture for Education (AIA-CAE). The building is a leading model for active learning education with immersive learning classrooms and laboratories. Learn more about the LMU Life Sciences Center on our blog or in the project profile.